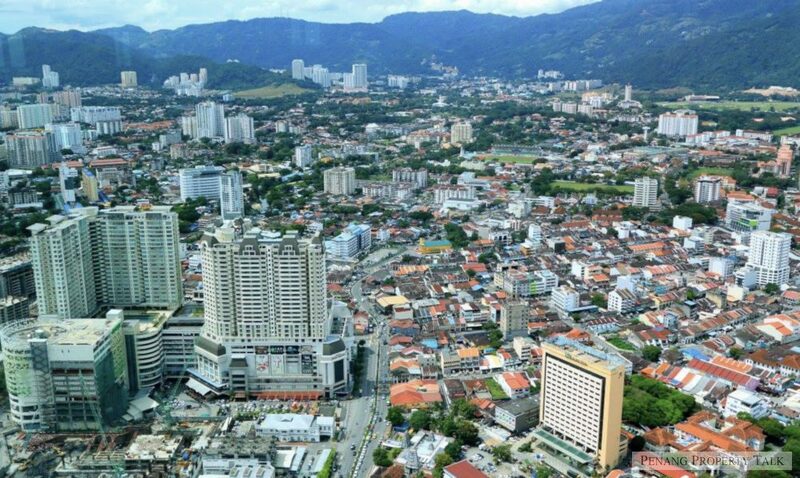 Why invest in properties on Penang Island now? By “now”, I am referring to January 2019. To answer that question, I need you to take a moment to look back at the Penang property landscape for the past 5-6 years. In particular, I want you to pay attention to Penang Island, for that’s the context of this article. You will notice that many parts of Penang Island have undergone a huge transformation. Where once was rural or even forested, there are now new condominiums in its place. Indeed, many of us are taken aback by the speed of the development. What is even more astonishing is that many of the latest developments are snapped up as soon as they are launched. Naturally, due to the high number of housing units entering the market, we are momentarily experiencing a “buyer’s market”. If you are sub selling – that is, selling off what you have bought from a developer – you will have a harder time than if you were the buyer. It is worth noting therefore, that Penang Island at this point in time is not a place for property speculators –local regulations are in place to prevent the price from overheating – and, it’s not a time to sell. It’s a time to buy! For as long as anybody can remember, Penang Island has always experienced land scarcity. For that reason, its real estate prices have always remained among the highest in the country (aside from choice localities such as the KLCC neighbourhood of downtown Kuala Lumpur). The situation in Penang Island today is different from the Penang Island of a decade ago because land that can be developed into residential properties on Penang Island is fast depleting. Previously, although the land was scarce, there was still much land on the eastern side of Penang Island to be developed. Nowadays, almost all that land has been used. You should notice the gravity of the situation when you see high rises being developed in hilly places including Mount Erskine, Paya Terubong and Bayan Lepas. This thirst for housing has even clawed its way to Balik Pulau. I observe that the desire to buy is not matched by the desire to occupy. Unless you are purchasing in a good location, you might have difficulty finding tenants. Therefore, if you purchase your property to let, it is worth your trouble to understand every neighbourhood in Penang, to know what sort of people stay there, where they go to work, what’s the traffic situation, all this will lead to your ease (or difficulty) of securing a tenant. My general advice is not to touch Penang Island properties as a speculator. Now is not the time for the impatient. It will be so difficult for me, and for any real estate agent you engage, to provide you quality help if you are in a hurry. However, if you approach Penang Island properties as an investor or would-be occupant, then this is the time. Property options (as of Jan 2019) are plentiful, and at prices which are generally lower than it was a year or two ago. If you enter the Penang Island property market to buy and sell, you are a speculator. In other words, a gambler. Gamblers sometimes lose the game. But if you enter as investor, you will win. To do that, get a real estate agent that provides you with the knowledge for the long-term growth of your assets. Not one that encourages you to gamble. Property prices on Penang Island will not stay in the doldrums forever. As mentioned, land for residential development is depleting. What we are experiencing now is a “rubber band phenomenon”. It takes a while for the glut to be absorbed, but the underlying demand remains strong, largely because Penang Island is a desirable place for home ownership. That alone benefits those who are willing to wait. Timothy Tye is a renowned Penang blogger who writes Penang Travel Tips. He serves as the spokesperson for AnakPinang, a Penang-based civil group. He is also a real estate negotiator with IQi Global, and has established property websites Timothy Property and The Property Investor. Almost all the landed properties in Penang island are going – extinct soon. Therefore, as from now on only invest in landed houses !? Penang island landed properties going extinct…..that’s what I thought until my last trip to Penang during which I saw many many “vacant” landed properties in prime areas for sale with no buyers, and the “for sale” signs have been there since my previous last trip to PG, which was 4 years ago. No buyers??? Extinct? Well, I think supply is limited, but people are just not buying them. Which part of Penang have u been visiting? Never seen SOOO many landed houses vacant in Penang island before and I live in Penang… u sure u visited the right island? Looks like Penang will crumble in no time together with Malaysia’s ONE TRILLION debt ? Poor Malaysia ! Actually it’s indeed many are for sales, not sure if it’s currently vacant or with tenants. My friend has 2 landed townhouse at Bayan Lepas wanted to sell since last year but received no potential buyers, even nowadays land is scarce but still many landed properties cannot find the buyers. My neighbourhood alone already 2 semi-d units vacant & for sale out of the 20 units along the same road. 2/20 = 10%. 10% is like in a 400-unit condo project with 40 units vacant&for sale. Actually where are u guys staying? I am also curious which part of Penang island so low occupancy rate. I am sure its not within the prime areas LouWong mentioned loh. landed property in Penang is unaffordable to most of the buyer (specially young family)…those at the lower price range is either old and in poor condition or located in Balik Pulau and certain southwest part of the island.. There is nothing wrong buying landed property in Balik Pulau.The prices are 30-40% lower than those in Bayan Baru or Greenlane area. With the new highway expected to complete in 2020, those working in Farlim or Bayan Lepas area can enjoy a smoother ride from Balik Pulau houses.